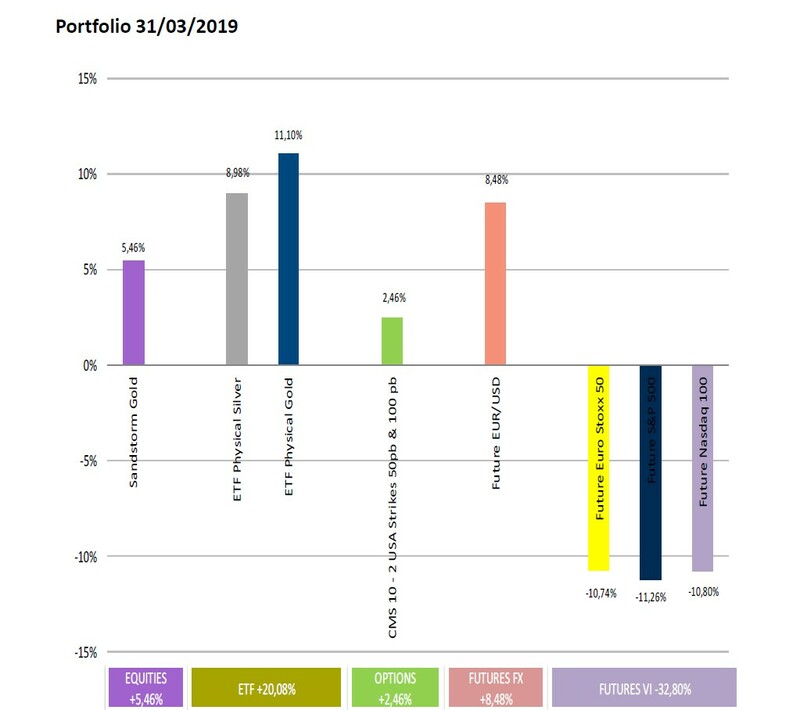 Global Allocation Fund: Danger As "Very little ammunition left for Central Banks, especially for the ECB"
Global Allocation Fund commentary for the month end March 2019, discussing due to the strong momentum they have cut short positions in half. 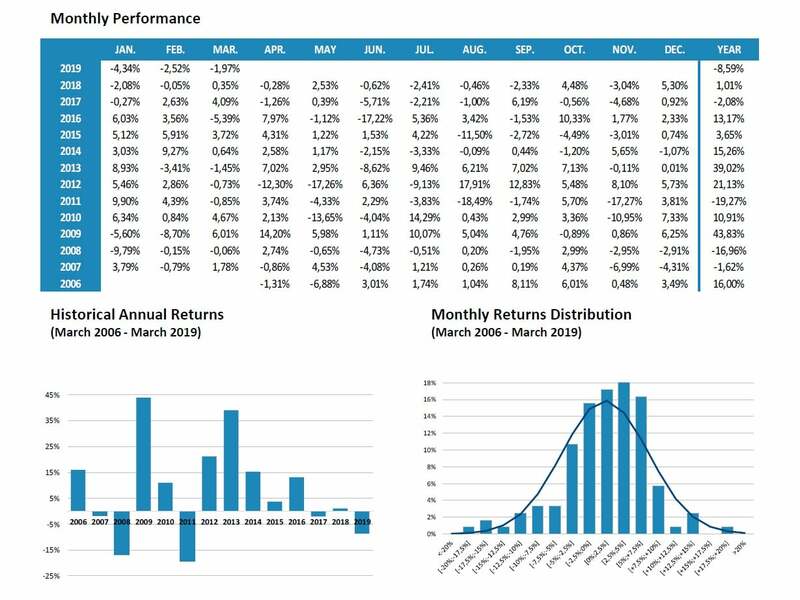 March was again a good month for risk assets, and bad for us. In general, we are witnessing a progressive deterioration in macroeconomic indicators globally, with Europe and China being the worst performers while the US behaved somehow better (even with a clear downtrend). At the microeconomic level, tendency is the same. Companies are revising down their projections both for revenues and net income, with China in the lead, but also in the US where analysts are predicting a 2% fall in revenues for the first quarter. However, everyone seems very optimistic about a solution to the commercial war between China and the US, which is always being fixed and finalized, and that Brexit will end up well, even though we don´t even now the right path. Reality is that this quarter ends with strong withdrawals from equities, which have been more than compensated by the purchases of fund with volatility objectives. While volatility drops, they tend to buy more. And the CTA's have been forced to buy back the short positions accumulated during December. Lastly, but especially significant, the buybacks from corporates. 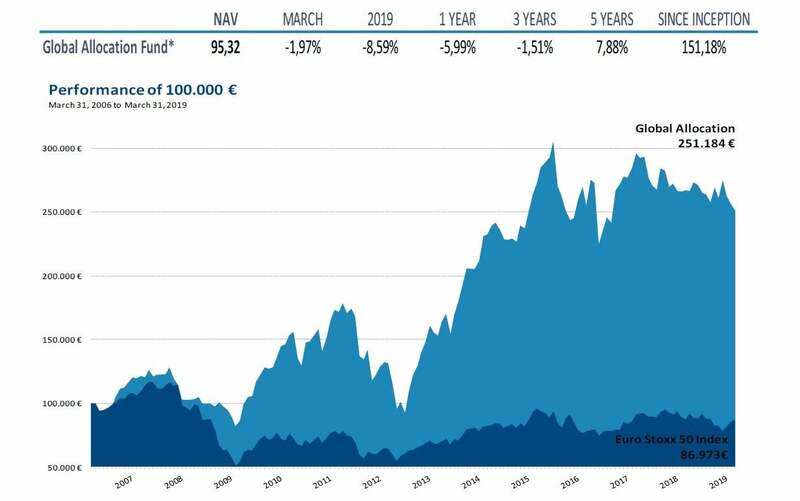 This quarter has beaten all records, with an estimated 300 billion of buybacks, 100 billion more than last year´s record. These flows come mainly from the big capital repatriation from US corporates after last year´s tax cuts. Likewise, it seems that the sensation of Central Banks being in control is gaining weight. Thus, we have witnessed a very important recovery in credit markets. Yield curve in the US is starting to discount rate cuts even for this year, while the FED has announced that soon will be ending the reduction in its balance sheet. Very little ammunition left for Central Banks, especially for the ECB, which announced some measures to help banks but cannot help to be trapped at the negative rates policy. Europe looks ever more like Japan. At the beginning of the month, given the strong momentum, we cut short positions in half. Now we are in wait and see mood. If market stablishes new maximums beyond the October highs, we could close the outstanding short position (32% now). On the other side, we have implemented an options position which would greatly profit in the case we see pronounced rate cuts in the US, as some voices from the Trump administration are calling for now. Markets are as expensive as very few times in history, but of course they could get more expensive.